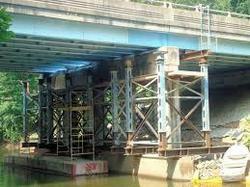 Ranson is leaders for all kind of repairs and rehabilitation for railway structures and bridges all over India. Repair of Broken Casting is done by metal stitching or metal locking system. We have expertise in metal locking of high capacity diesel engine crankcase and turbine casings. 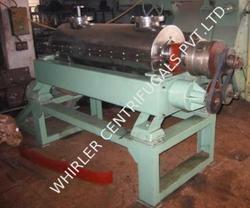 Service description: We are involved in offering a quality range of T92 Extruder Machine Repair Service . We are providing all kind of Weighing Balance Repair Services. We are the experienced choice for scale troubleshooting and scale repair service. Whether you are noticing that “something isn’t quite right or are experiencing a sudden breakdown, KERRO Scale technicians are trained and prepared to get you up and running again. Matching up with the ever increasing requirements of the customers, we are engaged in providing Packaging Machine Repairing Service. We are among the most sought after companies for providing Load Cell Repair Service to our reputed clients. These are widely appreciated by our customers. These services are provided by our experienced team members who are perfect in this field. IPM, offers highly specialized repair & reclamation service for worn-out and miss-machined components. A vast experience in the field of repair & rebuilding enables IPM to take up more complex and challenging jobs. Regular updating of technology has made IPM an acknowledged leader in the field. Maintenance, repair and operations (MRO) involves fixing any sort of mechanical, plumbing, It includes inspection, testing, servicing, classification as to serviceability, repair Manufacturers and industrial-supply companies often refer to MRO as opposed to. Our company is among the most sought after providing Repairing Service to the clients. Repairing Service is rendered by experienced and skilled team of professionals with using hi-tech tools and advance techniques. This service is timely executed and is treasured for exceptional attributes and appreciated by the clients. all Computers (Desktop, Laptop), Servers, Printers, Scanners, Components and related products. With SHIPS having such strategic importance, even small breakdowns can have massive implications. For decades, STEEL SURGERY SERVICES (INDIA) has helped operators keep SHIPS online – helping them work more efficiently, and getting them back in operation as soon as possible when the worst happens. Are you too busy or have more important things to do then drive back and forth to fix your computer Our trusted technicians will come to your home or business to solve your computer troubles right in your comfort.